“E Komo Mai!” - Welcome! Together, let's discover your Paradise in the midst of Kauai’s natural beauty. 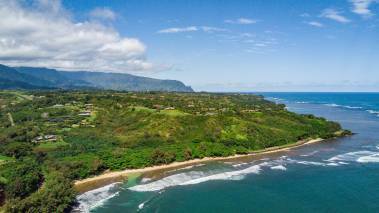 Whether it's a grass shack, comfortable home, easy living condo, or secluded, bespoke estate, Kauai has it all. Discover why locals say Kauai is "no ka oi" -The BEST! 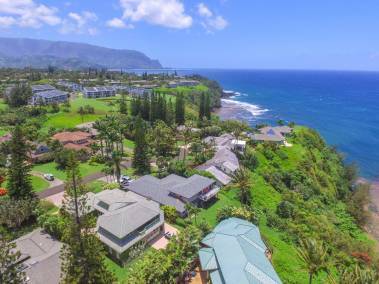 I'm delighted to show you how Kauai can be your home, or your home away from home! After traveling extensively to nearly 95 countries, I truly believe there is no better place on this marvelous planet to live than here on Kauai! With my first unforgettable vacation on Kauai, I knew this incredible island had to become my family home. I’ve been here 15 years and have nearly 20 years real estate experience. Island life can't be beat, with friendly people, temperate climate, relaxed lifestyle and breathtaking tropical scenery. Did I mention the incredible views, the beaches, the sunsets, the amazing ocean, the hiking, surfing, snorkeling (no snow) and so much more...!! A little about me… I grew up on the Missouri River in the small town of Chamberlain, moved to the Black Hills, then on to Silicon Valley's upscale town of Los Gatos. My grandfather was a Realtor Broker and my dad was a custom home builder. Travel, real estate and architecture have always been a part of my life. A huge advantage to buyers, and sellers both, is that I easily see a property’s possibilities. I started designing homes when I was five. Design Kauai is one of my alter ego's where I bring custom homes to life. Personally, I have bought and sold houses, land, condos, both reimagining and building along the way. For buyers and sellers, stress may be a key issue. I’m also a holistic practitioner. Through understanding, I assist clients with a more stress-free transaction. I bring an unparalleled skillset to the real estate market that extends far beyond the buying and selling of real estate. Your quality of life, not only where you live, but how you live, and your journey along the way is of utmost importance to me. Fun fact: You can find me on episodes of “Hawaii Life” on HGTV, "Coming to Kauai” and "Swapping Snow for Sun and Fun". Filming was so much fun, and it was such a privilege to share the awesomeness of Kauai with millions of viewers. Let's see what we can do to turn Kauai into your Reality! That's what I really enjoy!